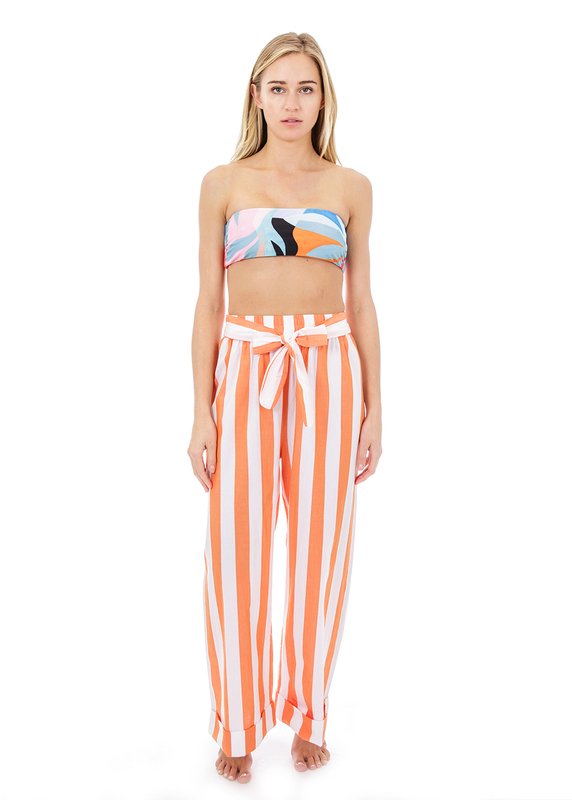 The Sasha Pant in Orange and White Stripe by Mara Hoffman is a cover-up pant designed with an extra wide, cuffed leg. 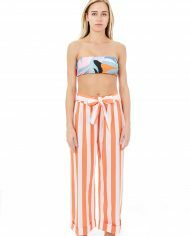 These pants feature an elastic waist band and self-tie belt. Machine wash cold with mild detergent. Lay flat or hang to dry.